My Stall will be open from 2pm-4pm, - I will be giving advice on Dog Behaviour ie. Seperation Anxiety, Constant Barking, and other Behaviour Issues. Its all FREE! Other Stalls will be offering free food, free entertainment and other activities. Timebank is about giving back to your community exchanging talents, jobs and other activities for just a few hours of your time a week. I went to an amazing 'Masterclass' on Friday 23rd April in Windsor; it was to increase my learning of dogs behaviour and how to study more behaviour patterns! It was with Sarah Whitehead of Alpha Education P.O. Box 372 Windsor Berkshire SL4 4WH. 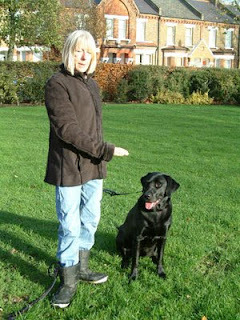 If you want a recommended course regarding our canine friends then contact Sarah. Sarah is a brilliant teacher and her classes are intensive cover all aspects of a dogs' behaviour and how we can study their patterns and LEARN! On Friday I met other people all having one thing in common - to learn to be better trainers, handlers and some just responsible dog owners! We had a open friendly discussion about our veiws - myself being as vocal as usual!! who kept us all in our places!! Labels: "alpha education", "dogs behaviour", "sarah whitehead"
Hi to all you puppy owners! Just to let you all know that my puppy classes start now! They will be held in the pleasant garden surroundings of our local pet store 'Just Barking' in Kensal Rise NW10. If your little pooch is becoming a bit of a handful and needs a little instruction on being socialised and house- trained in more ways than one you are more than welcome. Early learning is so important at this stage of a puppies life to ensure that when your little pooch grows up into adulthood you end up with a healthy, happy well trained dog. Labels: "healthy happy well trained dog", "just barking", "local pet store", "puppy classes", "puppy owners"
Dogs are my passion and my work; My aim is to teach dog owners about being responsible and having a well trained and sociable dog. Two years ago I was supported by the local Westminster Council to help with my local community with dog training technique using reward not punishment. 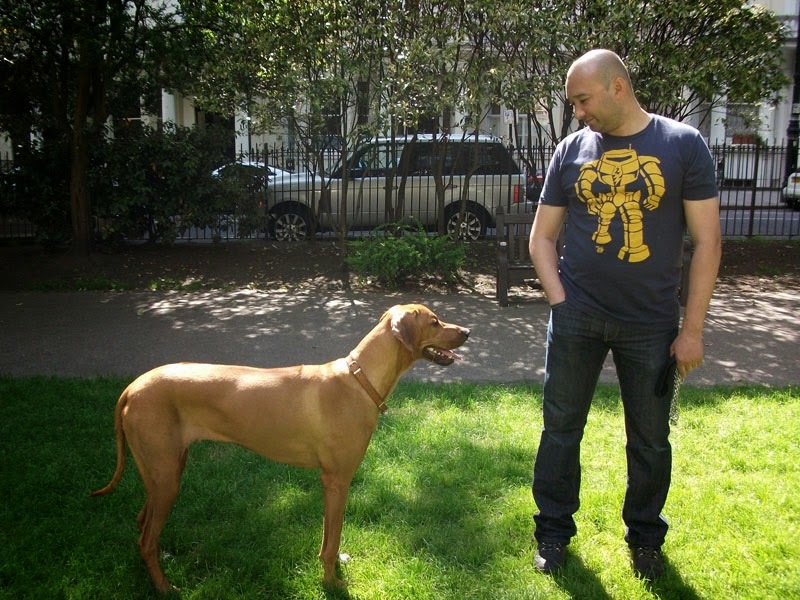 I have worked for over 11 years with rescue dogs in a West London Rescue centre, with dogs of all breeds and sizes and different types of behavioural problems. A breed close to my heart are Staffordshire Bull Terriers and Bull Breeds; Misrepresented by bad Media coverage and a minority of irresponsible owners! These breeds with the right training and responsible owners are intelligent sociable and a good family pet. I advise dog owners in my community how to use non-verbal training. Only rewarding good behaviour. I also have organised Dog Shows in Queens Park , South Westminster and Kensington over the last four years with catorgories ie. Best Behaved Staffi/ Best Socialised Dog and Owner! These are Fun and bring together a community of Dogs (big and small) and their owners!